This facade was installed in 2014 and these shots were made in 2018. 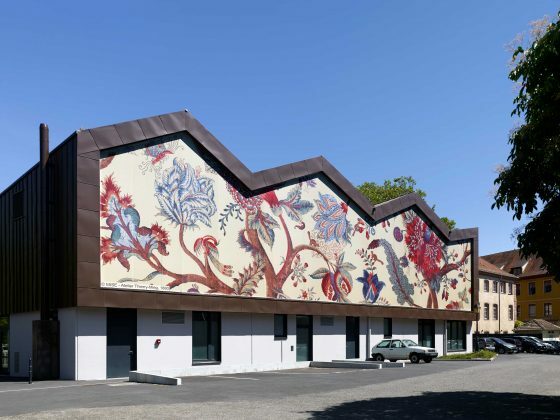 The facade textile is characterised by its printed surface. 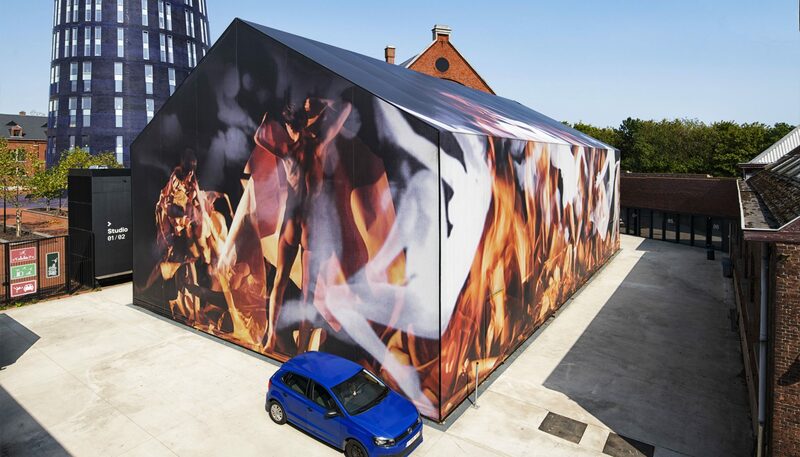 Printed on-demand, our substrates achieve the best hard-wearing resistance combined with freedom of choice in design and ideas this is the reason The Ateliers Jean Nouvel and MDW architecture chose for our product. 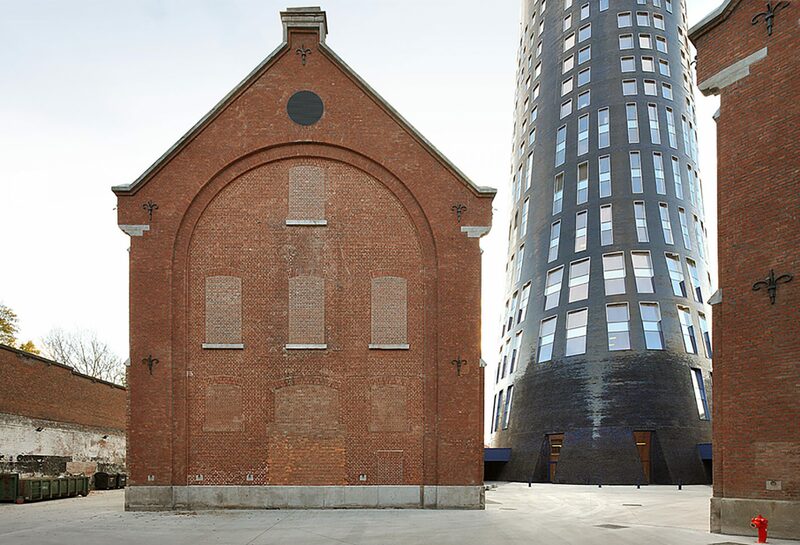 The Ateliers Jean Nouvel and MDW architecture project was chosen in 2011 as the result of an international competition. Its goal is to create a public and agreeable image of the police while giving the city a new urban landmark. In Charleroi they have built a new police headquarters and extended the Charleroi Danses buildings. The main feature of the site is a large number of 19th century buildings : the Defeld cavalry barracks until now occupied by the gendarmerie, and its old cavalry training ring used by Charleroi Danses, the Choreography Centre for the Fédération Wallonie-Bruxelles. The old cavalry training ring called ‘Les Écuries’ houses the Choreography centre for the Fédération Wallonie-Bruxelles Charleroi Danses. This space is inhabited by a ‘village’ atmosphere created by a succession of small brick buildings linked by interior paths. The human dimension and the ‘village’ atmosphere that encourages conviviality have been kept and strengthened by new small buildings similar to the existing ones and spread along the inner pathways. The two dance studios have been built on the rear part of the site in a separate building that is part of the ‘village’. It has a twin sloping roof. Natural light pours in through large bays of windows in its facades. 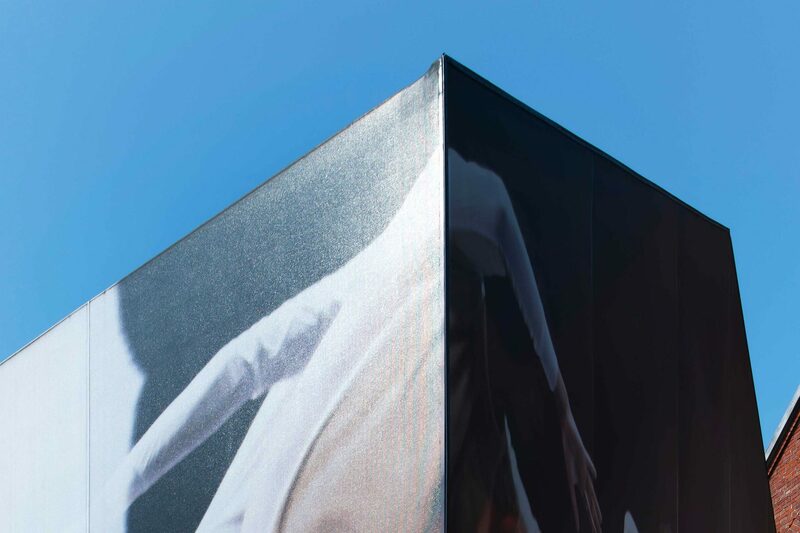 It is all covered by a micro-perforated fabric on which a photomontage of shows produced by Charleroi Danses has been printed to remind of the creative function of this area.